Oceans, rivers, fish and whales — see them pictured on buttons at the New Jersey State Button Society (NJSBS) Show and Competition, set for Saturday, May 12, 9 a.m. to 4 p.m. Button collectors will also enter competitions featuring baskets and buttons made from celluloid and black glass. The show will be held at the Union Fire Company fire hall, 1396 River Road (Route 29), Titusville, NJ 08560, and there is plenty of free parking. Admission is $2 for adults, free for juniors to age 17. This show and sale of collectible clothes buttons attracts antique enthusiasts, quilters, crafters, re-enactors, and those seeking special buttons to wear. The day’s activities include a button raffle and a forum on how to put together a winning entry for the state competitions. 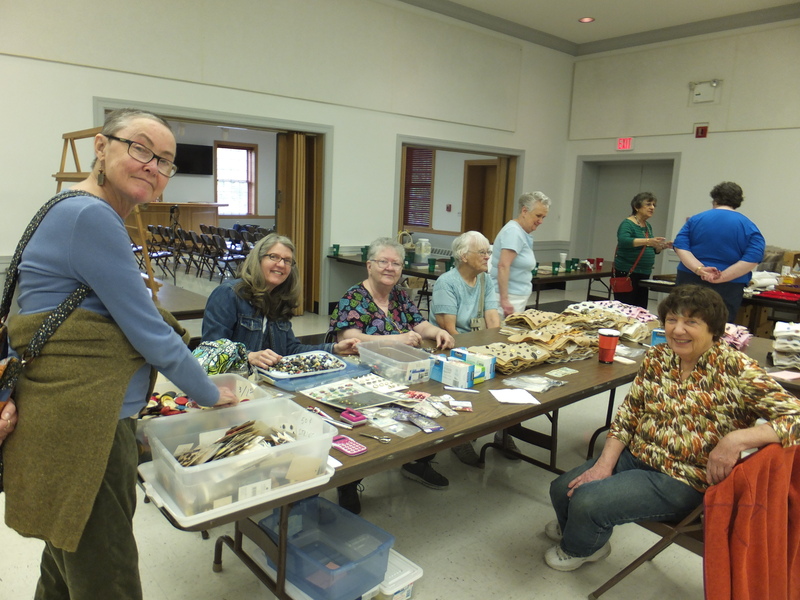 Members of the NJSBS share an interest in studying, collecting, and preserving clothing buttons, both old and new. The NJSBS was founded in 1941, at a time when a nationwide interest in button collecting was surging. Many authors of classic books on button collecting come from New Jersey. The Union Fire Company & Rescue Squad building is located at the intersection of Route 29 and Park Lake Avenue in Titusville, opposite the Delaware River and D&R Canal State Park (with easy access to the canal park), a half mile north of Washington Crossing State Park in Hopewell Township, and some five miles south of Lambertville and New Hope, PA. Contact 732-356-4132. email, buttonsinnewjersey@gmail.com, or visit http://newjerseystatebuttonsociety.org. The NJSBS will present its Show and Competition on Saturday, September 9, 9 a.m. to 4 p.m. at the Union Fire Company fire hall, 1396 River Road (Route 29), Titusville, NJ 08560, and there is plenty of free parking. Admission is $2 for adults, free for juniors. Members of the 76-year-old society like to study, collect, and preserve clothing buttons, both old and new. Eager to share their knowledge with those just beginning to collect, they will present a 1 p.m. program entitled “Nancy Drew Button Mystery: clues to materials and histories.“For details contact Cynthia Bartlett at 1-732-356-4132 or buttonsinnewjersey@gmail.com, or visit http://newjerseystatebuttonsociety.org. The show attracts antique enthusiasts, quilters, crafters, reenactors, and those seeking special buttons to wear. Anyone who pays the $10 membership fee may enter the NJSBS competitions, which are judged by popular vote. The button artwork category will appeal to quilters, and crafters might choose button wearables or button jewelry. One competition category honors the memory of the late John Sagi; another honors the late button author Anne Flood. Featured will be buttons that show animals, Santa Claus images, and even carrots. The Union Fire Company & Rescue Squad building is located at the intersection of Route 29 and Park Lake Avenue in Titusville, opposite the Delaware River and D&R Canal State Park (with easy access to the canal park), a half mile north of Washington Crossing State Park in Hopewell Township, and some five miles south of Lambertville and New Hope, PA.
Something fun to do on Saturday — bring your grandmother’s button box to the New Jersey State Button Society (NJSBS) show and sale on Saturday, May 13, 9 a.m. to 4 p.m. It’s at the Union Fire Company hall, 1396 River Road (Route 29), Titusville, NJ 08560, where there is plenty of free parking. All are welcome; admission is $2 for adults, free for juniors to age 17. The Union Fire Company, is at 1396 River Road (at the intersection of Route 29 and Park Lake Avenue in Titusville), opposite the Delaware River and D&R Canal State Park (with easy access to the canal park), a half mile north of Washington Crossing State Park in Hopewell Township, and some five miles south of Lambertville and New Hope, PA. There is plenty of free parking. http://newjerseystatebuttonsociety.org. In this article in the Hopewell Express, Carol Meszaros checks out a novice collector’s button jar. What treasures do you have in yours? Nancy DuBois shows the studio button she made for the NJSBS Diamond Anniversary. To her right is the quilt square, The Salem Oak, that she made for the NJSBS Silver Anniversary Quilt. “I like the challenge of doing something odd or different or pretty or unusual– it’s the joy of actually making things,” says Nancy DuBois. Though she rarely makes multiples, she accepted the commission to design and craft 30 NJSBS Diamond Anniversary buttons to be delivered on May 7. The base is a size medium Pinna Nobilis shell with an inserted metal shank. The main design of a goldfinch sitting on a red oak branch with leaves and acorns has been scrimshawed in 24-carat metallic gold. (Scrimshaw is the age-old art of scratching or carving line designs into the surface of natural materials, then rubbing pigment into the indentations.) The tiny violet was flameworked, done by melting colored glass in a hot flame produced by a torch and shaped it to the desired configuration. The goldfinch, branch, leaves and acorns was surface tinted with a yellow, brown and green paint and then sealed. A Swarovski Crystal recognizes the anniversary. Each button back includes an engraved design number, log number, date, signature with Nancy’s seal design, and the words “New Jersey State Button Society 75 years 1941-2016.” Another Swarovski Crystal finishes the button. At present glass is Nancy’s main focus. She and her husband, Skip (also a noted paperweight artist), raise cattle and Muscovy ducks on their Salem County farm. When the Salem Community College Glass Education Center was built two miles away, Nancy joined her third child and youngest daughter, Emily, in the glass art program and earned dual degrees in glass and industrial design. Since Nancy now works at the Center, she can use the techniques of glass blowing, kiln casting, fusing, slumping, cold working, flameworking, and “pate de verre.” She also has her own flame working studio that she humorously named “Coop de Verre” because it looks like a chicken coop. Nancy rarely has time to attend meetings, leaving it to Annie Frazier to sell her buttons. Currently she is making glass-covered dresses for the Glass Art Society convention in Corning, New York, June 9-11. Her work is in Antique and Collectible Buttons Vol II, by Debra J. Wisniewski, the late Jane S. Leslie’s reference book on studio button makers, and the second edition of the Big Book of Buttons. Not surprisingly, birds are among her favorite subjects, along with fables (the more unusual, the better) and Kate Greenaway designs. The most unusual of her “one only” designs was a carved bungee jumper that could spring up and down. Always on the go — that’s Nancy Dubois. If “diamonds are a girl’s best friend,” as Marilyn Monroe liked to sing, a very big cake and a diamond anniversary button will help members and guests of New Jersey State Button Society (NJSBS) celebrate its 75th Anniversary on Saturday, May 7, 9 a.m. to 4 p.m. The NJSBS will hold its Spring Show and Sale at the Union Fire Company hall, 1396 River Road (Route 29), Titusville, NJ 08560, where there is plenty of free parking. All are welcome; admission is $2 for adults, free for juniors to age 17. More than a dozen dealers and artists will offer buttons made from enamel, china, metal, and ivory — plus modern and vintage buttons made from fruit pits, rubber, and glass. The anniversary button, made by New Jersey studio artist Nancy DuBois, will be distributed. At an information table, guests can learn about buttons and the collecting hobby. After the anniversary cake is cut at 1 p.m., there will be a button raffle, an NJSBS business meeting, and Annie Frazier, past president of the National Button Society, will lead a forum on how entries are judged for state competitions. Members of the NJSBS share an interest in studying, collecting, and preserving clothing buttons, both old and new. 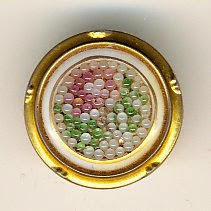 The group was founded on March 27, 1941, at a time when a nationwide interest in button collecting was surging. Many authors of classic books on button collecting come from New Jersey. The anniversary celebration will continue on Saturday, September 10, at the Fall Show and Sale, same times and place. The Union Fire Company & Rescue Squad building is located at the intersection of Route 29 and Park Lake Avenue in Titusville, opposite the Delaware River and D&R Canal State Park (within easy access to the canal park), a half mile north of Washington Crossing State Park in Hopewell Township, and some five miles south of Lambertville and New Hope, PA. The New Jersey State Button Society (NJSBS) will celebrate the start of its 75th anniversary year with a free program, “The Button Sampler,” on Saturday, January 9, at 2 p.m. at the Lawrence headquarters of the Mercer County Library System, 2751 Brunswick Pike. If you are curious about buttons you own and want to attend, call the library at 609-989-6920, email me, or email lawprogs@mcl.org — or just show up. A similar program will be Saturday, March 19. The program honors the book “The Button Sampler,” co-written by the late Lillian Smith Albert. A Hightstown resident, she founded the NJSBS in 1941, when interest in button collecting began to surge. 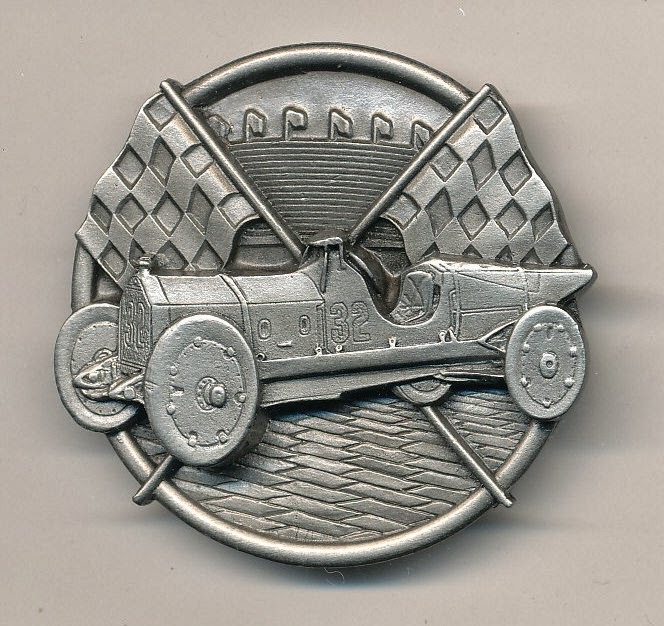 Through her research and study Albert helped to make button collecting the important hobby which it is today. The members of the state society share an interest in studying, collecting, and preserving clothing buttons, both old and new. To share their enthusiasm and knowledge, my fellow NJSBS members will tell about favorite buttons and offer help to new collectors. 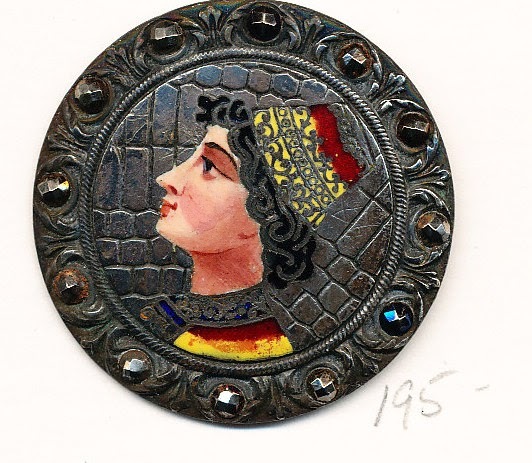 Bring up to a dozen clothing buttons and learn about buttons made from a selection of the dozens of different materials, including black and colored glass, china, plastic, metal, shell, and wood. There will be another button meeting during National Button Week, on Saturday, March 19, at 2 p.m., so mark your calendars. And the NJSBS will celebrate its Diamond Anniversary at its Show and Competition on Saturday, May 7, 9 a.m. to 4 p.m. at the Union Fire Company, 1396 River Road (Route 29), Titusville, NJ. Getting ready for the New Jersey State Button Society show on Saturday, I’m putting together a tray of “a dozen pretty ladies,” and one of them is a button with the head of Sarah Bernhardt (pictured), another of St. Cecelia. Another category that’s fun is “buttons representing New Jersey — sports, famous people, harness racing, and the shore etc, The only famous person from my collection that I could put on that tray is — Lafayette. I did find one showing harness racing, and one with a Princeton tiger. The show is Saturday, September 12, 9 a.m. to 4 p.m. at the Union Fire Company in Titusville, New Jersey. The Union Fire Company, is at 1396 River Road (at the intersection of Route 29 and Park Lake Avenue in Titusville), opposite the Delaware River and D&R Canal State Park (with easy access to the canal park), a half mile north of Washington Crossing State Park in Hopewell Township, and some five miles south of Lambertville and New Hope, PA. There is plenty of free parking. Admission is $2 for adults, free for juniors to age 17. For questions about the show or the club, email me or see http://newjerseystatebuttonsociety.org. Visitors may vote for their favorite entries in each of the competitions, including the Pretty Ladies category that asks for 12 buttons with pictures of women. Buttons showing various aspects of New Jersey — sports, famous people, harness racing, and the shore — will also be on display. Dealers from all over the East Coast sell vintage, antique, and modern buttons, and the activities also include educational displays and a button raffle. At 1:30 p.m. on September 12, Annie Frazier, former president of the National Button Society, will give a competition and judging workshop. . Sometimes competitions are strictly judged, but for this show it’s “popular vote.” Every attendee gets to vote. It will be fun! Look for me in the kitchen serving coffee…. It’s never too early to begin collecting buttons. 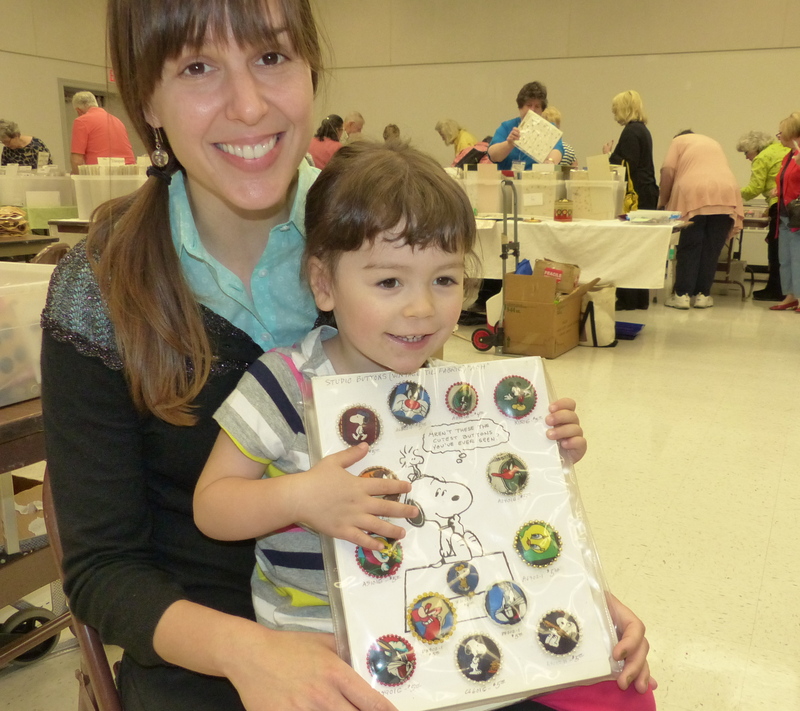 Shown here, at a New Jersey State Button Society show, four-year-old Elena Ibanez and Ariana Brandes, admire a card of collectible sewing buttons. Elena (who lives in London) and her aunt (of Tulsa, Oklahoma) were visiting Elena’s grandparents, John and Lucy Boyd, in Pennington. The next NJSBS show is Saturday, September 12, 9 a.m. to 4 p.m., at the Union Fire Company, 1396 River Road in Titusville. I’m a member of the New Jersey State Button Society and the National Button Society. We share an interest in studying, collecting, and preserving clothing buttons, both old and new. 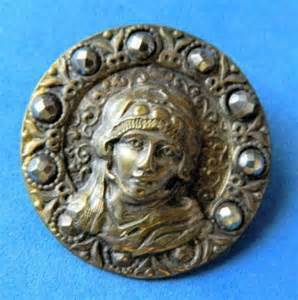 If you have any interest in antique, vintage, or modern buttons, try to join us on Saturday. A dozen dealers will be there (as shown below). You can poke through assortments of inexpensive buttons for crafts or find that one fancy button you need for an outfit — or compare the precious buttons in your grandma’s jar with those on display. Here’s another Bak elite button to whet your appetite! Many of my friends know I collect buttons, and often they say “I have my mother’s buttons in a jar — would you look at them/” Now is your chance. Along with members of the New Jersey State Button Society, I will host a talk and hands-on demonstration, “Treasures in Your Button Box,” on Monday, January 19, 1 to 3 p.m., at Princeton United Methodist Church, Nassau Street at Vandeventer Avenue. If you can attend, please tell me, so I can save you a seat! You may comment below or call 609-921-2774 or email duncanesque@yahoo.com. For parking information, go to http://www.PrincetonUMC.org. There will be a donation box. You’ll see 19th century buttons made from china, shell and ivory, and also those made recently from modern materials — including rubber, plastic, celluloid, glass, and metal. You will learn how to find and care for buttons that cost 25 cents, $25, or $250. If you bring your button box, the NJSBS collectors will tell you about them. And everyone will go home with new treasures.